Since the summer 2018, the release of WordPress 5.0 is being heavily discussed. This version is highly awaited for its new Gutenberg editor which will replace the traditional and broadly used WYSIWYG editor. 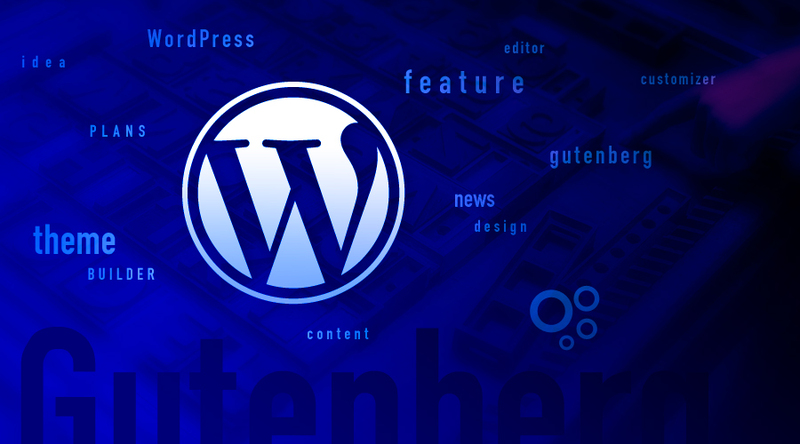 Gutenberg brings the fundamental change in the way how WordPress websites are built. Therefore, like other developers, we are also eagerly waiting for WordPress 5.0 to come out. As we have already informed in the previous article, we’re working on our very first Gutenberg theme. Today, we would like to show you a little tasting of how it works and what features and Gutenberg plugins we plan to implement in the future. The main purpose of the upcoming template is to respond to the breakthrough version of WordPress 5.0 with integrated Gutenberg editor – the new, default tool for creating WordPress websites in 2019. Our Gutenberg WordPress theme will be regularly adapted to any further development of the editor, in order to achieve maximum compatibility. This means that all the functionality and features that developers will add to Gutenberg in the future will be gradually added to our template. With the release of our new template, users will get one of the best Gutenberg WordPress themes in 2019, which will continually evolve along with the built-in Gutenberg editor. 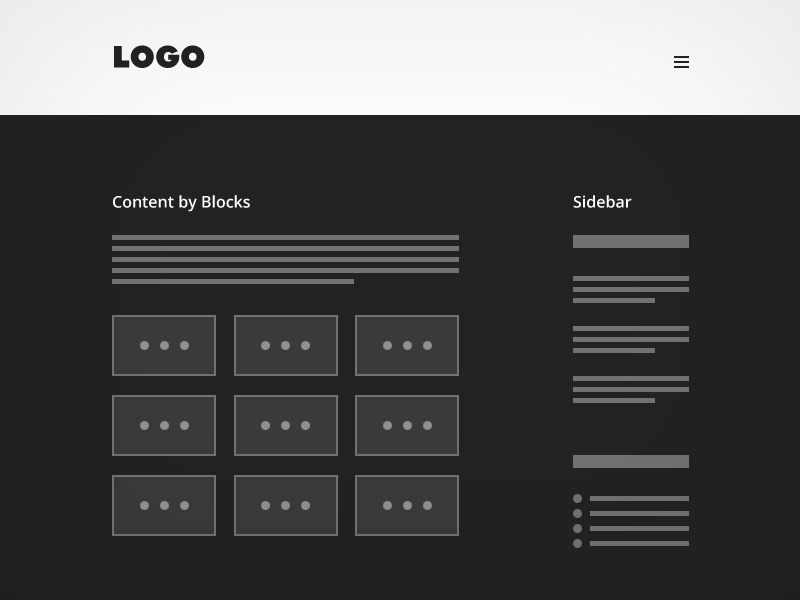 The central component of the template will be a set of original Gutenberg blocks. We’ll broaden the library with our most popular and most useful custom blocks. Each of these consolidated blocks will be available in the form of a separate Gutenberg plugin, which will allow us to atomize the template – you will be able to activate only the functionality you really need for your web. 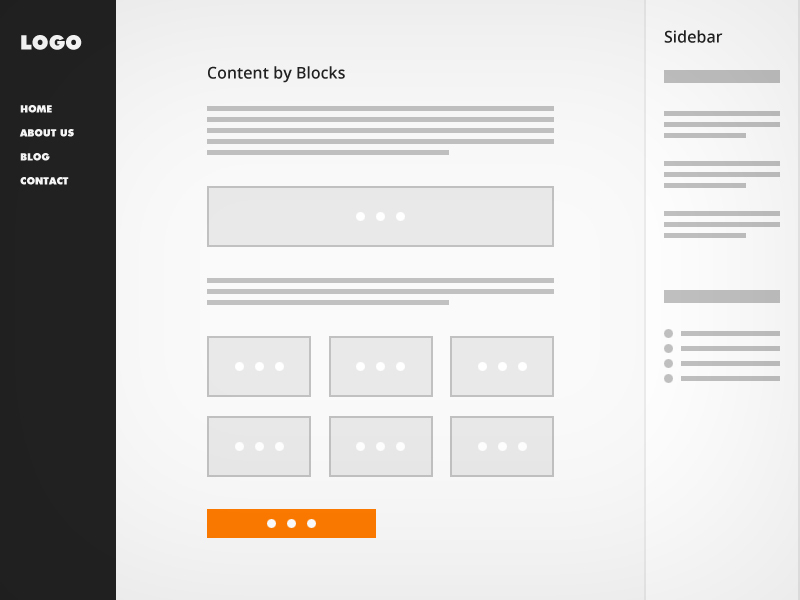 We plan to keep creating individual blocks for the forthcoming WordPress Gutenberg theme continuously. At the same time, we will complement them on the basis of your long-term experience gained as a WP templates developer. The schedule for developing additional plugins will also reflect the requirements of our customers who will begin using the Gutenberg theme. We’re looking forward to your first impressions! Due to the continuous advancement of design and functional solutions to modern websites, the functionality of WordPress itself as well as Gutenberg editor will need to continue being enhanced too. This will be facilitated by our special Core plugin. 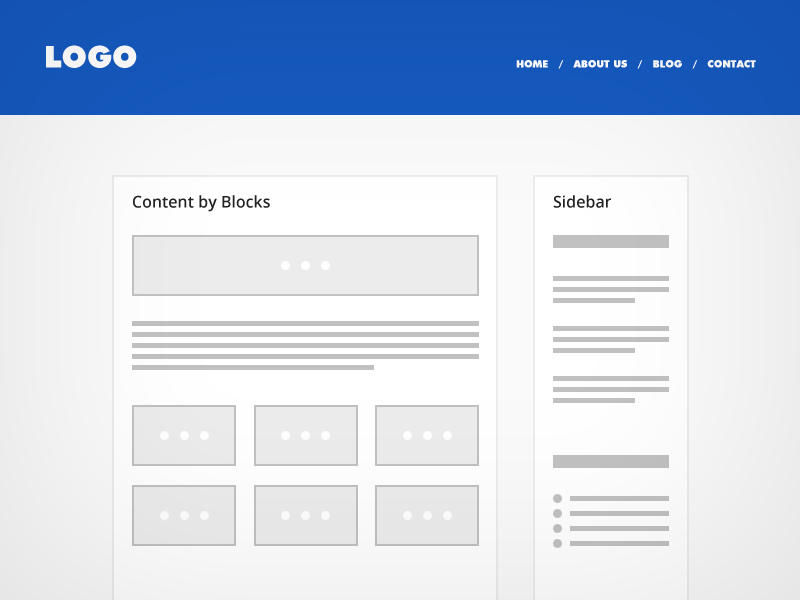 This plugin will contain a set of global template settings and will provide user with various tricks for building website via Gutenberg – for example a more efficient work with sidebars and widgets in responsive design and similar features. Thanks to Core plugin, our template will get a number of main, but also easily manageable settings for determining the basic web page layout. All these settings will be available in original WordPress Customizer, so setting them up and tuning together will be very easy and instantly visible after any change. By combining these settings, it will be possible to create an extremely large number of websites that will look completely different, and that all will be made possible by using just one Gutenberg template. What settings will be available in Gutenberg theme? Theme Layout – theme Layout will define the basic layout of the website. 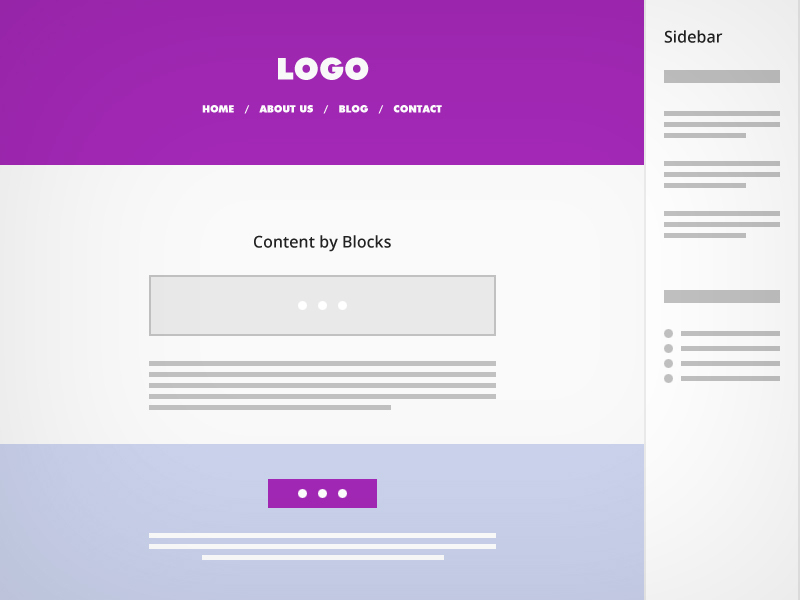 Theme Design – a setting to fine-tune the design of all smaller objects in the template. By choosing a single setting, you can change the final design of your entire website (without the need for complicated setting of sub-elements). We plan to expand the Theme Design settings and gradually add to an increasing number of options. Appearance – set of settings to adjust the final color version of Gutenberg theme. The user will be able to pick from several basic colors and other colors will get automatically calculated in order to achieve the best result. The Appearance settings allow work with different color combinations, so one template can be recycled to create a large number of visually different websites. All the settings in our WordPress Gutenberg theme will be easy to change at any time, so that user or developer will be able to test the available combinations and find the most suitable option for their project. They won’t need to worry about loss of existing data – data is safely stored in the template and the changes made won’t endanger it. By combining Core plugin features with our Ait Themes custom blocks and Gutenberg blocks, you will get a very powerful tool for effective creation of WordPress websites. In the first version of WordPress Gutenberg theme, you will be able to work with Core plugin and basic custom blocks (plugins). These will brilliantly suffice for building any presentation or business websites. But we already have plans to begin developing special Gutenberg plugins that will add various directory functionalities to our template. By activating these plugins, your standard theme will transform into a directory theme in a matter of seconds, getting best features for creation of portal websites. Our Gutenberg plugins for directory websites will allow you to add items to taxonomic lists, promote them as featured, to create events and many other actions. As our flagship are WordPress directory & listings themes, we will build the Gutenberg plugins based on our most popular and most used directory plugins. We’re therefore very excited and can’t wait to offer you our great innovations in the coming year! When will our Gutenberg theme be available for download? First, we have to wait for the official release of WordPress 5.0 with Gutenberg integrated in its core 🙂 Since this version will bring a completely different way of website building than it’s been so far, changes will affect WordPress as a whole, not just the Gutenberg rich content editor. That is why we will need to test compatibility with the latest version, iron out the kinks, fix any potential bugs that may have occurred (especially when switching from Gutenberg’s beta version for developers to the production one). Subsequently, we’ll still need some time to finish our custom blocks and plugins; but we would like to release the basic version of our new Gutenberg theme sometime at the end of January 2019. Gutenberg theme for us represents a long-term project on which we plan to continuously work and constantly build additional Gutenberg plugins. If you buy any membership, our brand new template will be yours as soon as we release it! Our secret tip: We highly recommend our Lifetime Membership. This will guarantee that any additional features added to the Gutenberg template (or any of our other WP templates) will automatically be available for you to download. 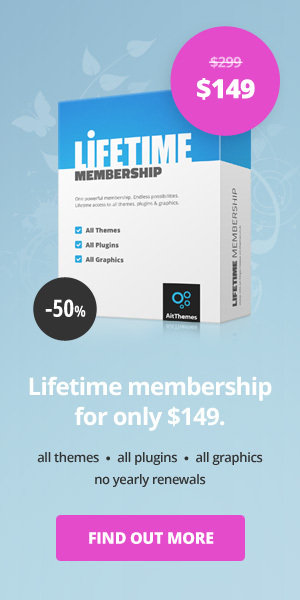 Lifetime Membership is valid forever, without the need for annual renewal or additional fees. At this point our Lifetime Membership is on sale at a truly irresistible discount! i am ur premium member…i have an issue with memorial theme light candle feature…i wanna sell virtual candles on website so plz send documentation link for light a candle a feature…i want to implement light a candle fearture like the below link plz help. Should you have further questions feel free to post technical question directly in our dedicated support ticket system. Please login into your account at https://system.ait-themes.club/support/. So the current Directory themes (Directory2 and Businessfinder2) will not be compatible with these new theme? thanks for asking. Directory themes will not be compatible but we are intended to create new directories modules. I just read the last customer question. So if Directory+ theme doesn’t work with new WordPress, what happens to all the work we’ve done on our theme? How will it affect previous themes? Also, I have recently paid for lifetime membership. Does my membership include all new Gutenberg therese and plugins as well? What about a possible Ait-Themes integration with Elementor? thanks for interesting in our products. We are sorry, we are not intended to integrate our products with Elementor page builder.